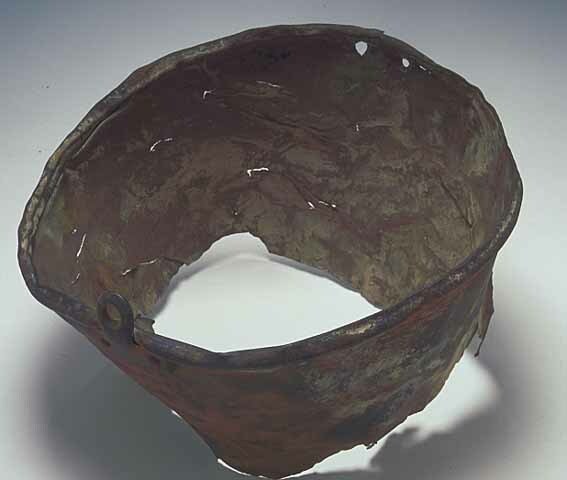 Native Americans traded along the waterways of present-day Minnesota and across the Great Lakes for centuries before the arrival of Europeans in the mid-1600s. For nearly 200 years afterward, European American traders exchanged manufactured goods with Native people for valuable pelts and furs. The Ojibwe and Dakota held powerful positions, prompting both the French and British to actively court their military and trade allegiance. Trade with Native Americans was so critical to the French and British that many European Americans working in the fur trade adopted Native protocols. The Ojibwe were particularly influential, which led many French and British people to favor Ojibwe customs of bartering, cooperative diplomacy, meeting in councils, and the use of pipes. The Dakota and Ojibwe were the primary trappers of fur-bearing animals in the Northwest Territory. They harvested a wide variety of furs (beaver being the most valuable) in the region's woodlands and waterways. In exchange for these furs, French, British, and US traders provided goods such as cloth, blankets, firearms and ammunition, metal tools, and brass kettles. The Dakota and Ojibwe had existed for thousands of years using tools made from readily available materials, but by the 1800s, trade goods had become a part of daily life for many Native communities. Some Dakota and Ojibwe communities became dependent on trade goods for a certain level of prosperity and efficiency in their everyday lives. The fur trade had a tremendous effect on Dakota and Ojibwe cultural practices and influenced US-Native economic and political relations in the 19th century, including treaty negotiations. The Snake River Fur Post was a short-lived link within the greater chain of the Great Lakes trade that endured over centuries. 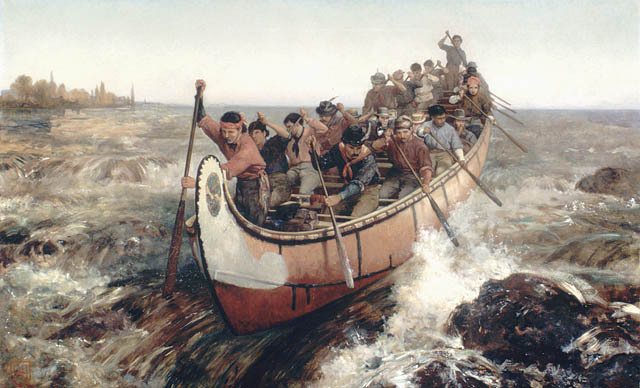 The Great Lakes trade transported pelts from the Great Lakes south to the Gulf of Mexico or north and east along the St. Lawrence River to the Atlantic coast. Ginebiz-ziibi was part of this vast network of waterways that connected the east and west coasts of the continent. When the furs from the Snake River post were ready to go in the spring of 1805, traders transported them to Fort St. Louis and on to Montreal, before they were shipped to Europe. Anderson, Gary Clayton. Kinsmen of Another Kind: Dakota-White Relations in the Upper Mississippi Valley, 1650–1862. St. Paul, MN: Minnesota Historical Society Press. Brown, Jennifer S. H. Strangers in Blood: Fur Trade Company Families in Indian Country. Vancouver: University of British Columbia Press, 1980. Gilman, Carolyn. Where Two Worlds Meet: The Great Lakes Fur Trade. St. Paul, MN: Minnesota Historical Society Press, 1982. Gilman, Rhoda R. Henry Hastings Sibley: Divided Heart. St. Paul, MN: Minnesota Historical Society Press, 2004. Green, William D. A Peculiar Imbalance: The Rise and Fall of Racial Equality in Early Minnesota. St. Paul, MN: Minnesota Historical Society Press, 2007. Nelson, George. My First Years in the Fur Trade: The Journals of 1802–1804. Edited by Laura Peers and Theresa Schenck. St. Paul, MN: Minnesota Historical Society Press, 2002. Nute, Grace Lee. The Voyageur. St. Paul, MN: Minnesota Historical Society Press, 1987. Podruchny, Carolyn. Making the Voyageur World: Travelers and Traders in the North American Fur Trade. Lincoln: University of Nebraska Press, 2006. Podruchny, Carolyn and Laura Peers, eds. Gathering Places: Aboriginal and Fur Trade Histories. Vancouver: University of British Columbia Press, 2010. Ray, Arthur J. Indians in the Fur Trade: Their Role as Trappers, Hunters, and Middlemen in the Lands Southwest of Hudson Bay, 1660–1870. Toronto: University of Toronto Press, 1974. Sleeper-Smith, Susan. Indian Women and French Men: Rethinking Cultural Encounter in the Western Great Lakes. Amherst: University of Massachusetts Press, 2001. Treuer, Anton. Ojibwe in Minnesota. St Paul, MN: Minnesota Historical Society Press, 2010. Van Kirk, Sylvia. Many Tender Ties: Women in Fur-Trade Society, 1670–1870. Norman: University of Oklahoma Press, 1980. Wingerd, Mary Lethert. North Country: The Making of Minnesota. Minneapolis: University of Minnesota Press, 2010. 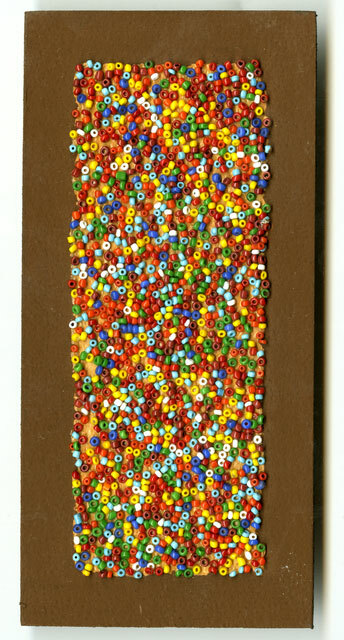 Fur trade beads, about 1737–1800. Fur trade beads, about 1737–1800. Source: MNHS Collections. Shooting the Rapids. 1879. Shooting the Rapids. 1879. Source: Library and Archives Canada. Brass trade kettle, about 1650–1837. Brass trade kettle, about 1650–1837. Source: MNHS Collections. Sketch of a fur trader from the journal of Alexis Bailly, about 1830s. 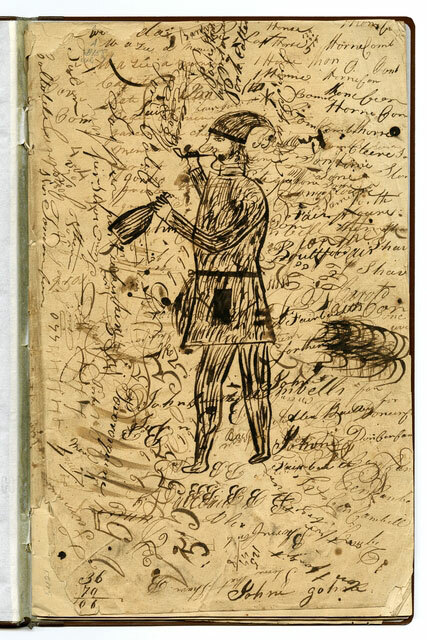 Sketch of a fur trader from the journal of Alexis Bailly, about 1830s. Source: MNHS Collections.